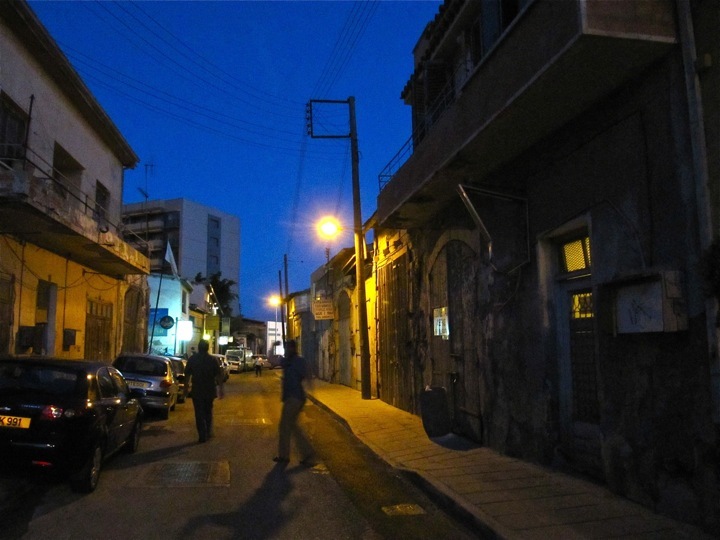 A June 9, 2012 evening photo of downtown Larnaka, Cyprus. Note R. Scott Moore and William Caraher in photo. on this walk. With each year that they return, they said another window is boarded up. The place houses a Mexican restaurant (or the signage indicates that), but it appears to be incapable of pulling whatever needs to be pulled together to maintain it. Amidst all the rising tourist properties, this historic mansion reflects the broader contextual theme of this flick, at least to one degree, and in a Mediterranean-Levantine setting (instead of a Caribbean one). It is not unusual for a city to breath (in fact cities need to breath otherwise they are on the decline), and in order for it to grow certain things need to be managed — to a cynic, that’s a handy MBA word for excising and tearing down in the name of, ahem, progress. In a realistic vein, managing historic preservation with the needs of a community (rather than the needs of a politician who wants to get elected by a community — whoops, back into cynic land) is a careful act of balance. Everyone needs to be brought together at the outset: concerned, attentive, intelligent, non-egotistical, informed and thoughtful citizens (which are core ingredients for a healthy, democratic-republic), engineers, historic preservationists, trash collectors, spiritual leaders, fat cat lawyers, artists, bakers, the corporate employee grinding it out in the cubicle, little league coaches, physicians — essentially every contributor to what we call Civilization. 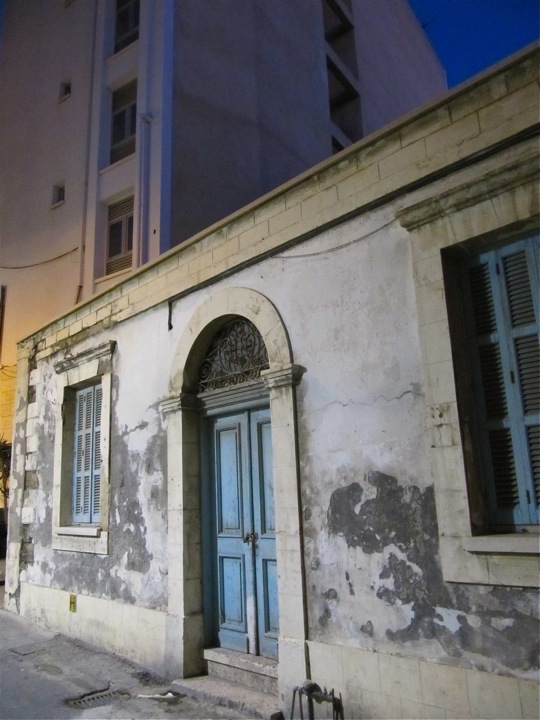 A cross-section slice of old and new Larnaka, Cyprus. And progress is important. It’s important to keep in mind that we build meaning for ourselves, and that meaningfulness is created by reaching back and pulling from the infinite repository of information that is the past. If you reach back into and wander around in the past long enough, you’ll begin noticing patterns, and those patterns reflect the organic nature of culture. We see someone or a group of someones doing something in a certain way, and we mimic that accordingly. “Okay, that’s what they are doing? Seems all right. I’ll do that too.” We become jaded when we begin perceiving that aspects of the organic cultural processes have been hijacked by marketing geniuses. I think this strikes at the foundation of our desire to experience what is authentic, this word connected with authority and authorship. Authenticity competitions can be of value to a culture and civilization. For example, think about two chefs who each claim that their own lamb fricassee recipe is the best, and they are going to have a competition to prove it. Yes, I too want to participate as a taster in that event. Authenticity competitions can be a detriment to civilization as well, especially when the authors are nihilistic and kill in the name of their assertions. But healthy cultures find ways of dealing with those types. Healthy cultures also find ways of creating outlets for chest-puffing and -thumping. This locally and in the present is most noticeable when you’re sitting in a tavern in Cyprus, and the UEFA Euro Soccer championship is on every television in the joint. Before coming to Cyprus, I knew that non-America considered soccer an extremely important regional, national and international event. The energy locals invest throughout the planet in watching and following this sport becomes transparently real when experienced firsthand, at the on-the-ground level. A friend in Prague (or somewhere north of here) communicated that too, noting in an E-mail how fanatical nations become when throwing their soccer teams against one another. Note: when you come across a graduate student of history who tells you he is studying the history of nationalism through the sport of soccer — like Trevor Saylor at North Dakota State University — know that this subject of study is very real for a lot of people. It’s probably a lot better that Russia and the Czech Republic in the 21st century can slug it out on the soccer field rather than the traditional 20th century way. 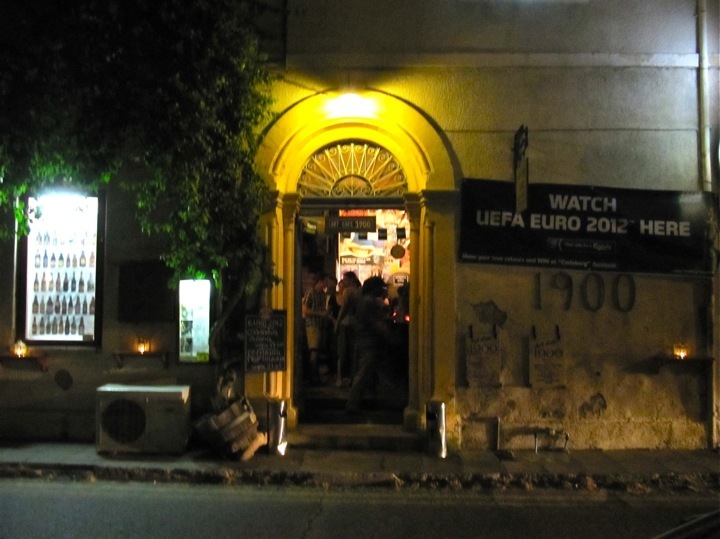 A June 9, 2012 evening photo of Art Café 1900, Larnaka, Cyprus. Note the European football banner at right. This entry was posted on Sunday, June 10th, 2012 at 4:44 am	and posted in Uncategorized. You can follow any responses to this entry through the RSS 2.0 feed.